The Bears looks at food grouped by colour written in Te Reo. This story will encourage healthy eating and having a vegetable garden. There is a repeated sentence structure throughout the book to support new readers. Repeated sentence: He aha te tae o ēnei kai? Summer Rose books, created by Carolyn Collis, are teaching resources for educators of young children. 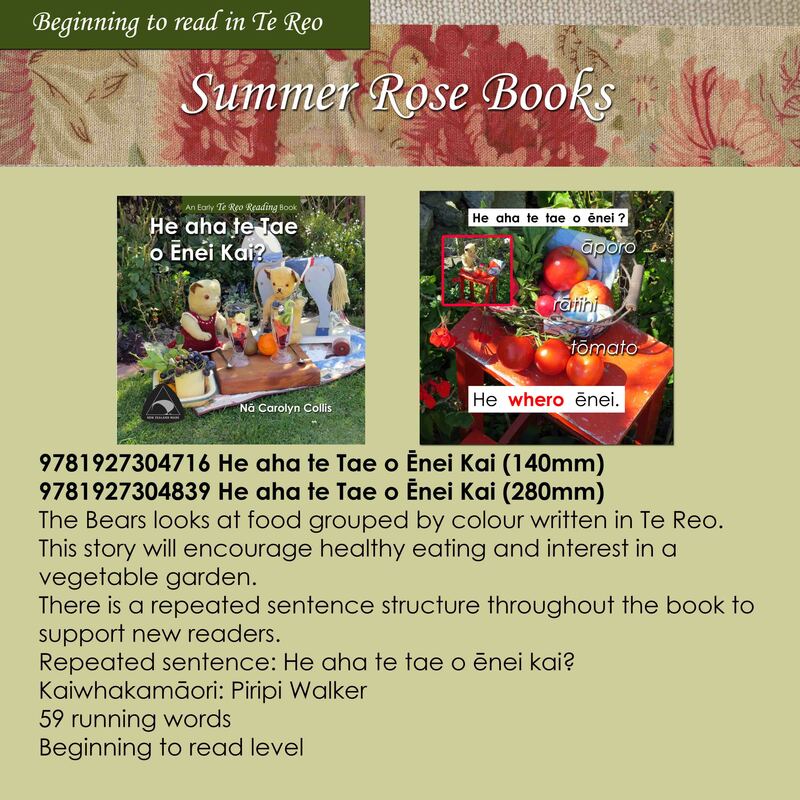 This series provides a fun way for children to learn about the Te Reo Māori language, build reading confidence and improve general knowledge.